How Much Is An Antique Record Player Cabinet Worth? Get More Infor Here. Antique record player cabinets are found in homes all over the world. But what makes them so special? You see, these cabinets are ideal for both storing and listening to your music. There are certain cabinets that you can get with a built-in record player in it, many shelves for your records, and sometimes even speakers. These cabinets can be both closed and open for you to display your record player and all of your records. People love these because there’s a style for almost everybody’s decor. You can get them in different colors, shapes, sizes, and textures. The best part is that you can still buy them in stores today. Unfortunately, they do tend to be bulky, so you should ensure that you have enough room for it before you buy it. Honestly, you can find them just about anywhere online. But if you are looking for something truly vintage, check a thrift shop or antique stores. These places are bound to have an antique turntable cabinet. Maintaining these consoles is pretty much the same as maintaining your other furniture. 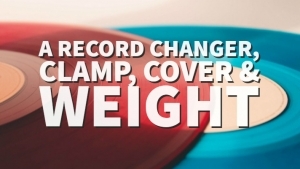 However, since there is a record player attached to it and storage for records, it’s best that you keep it out of direct heat to avoid ruining the records. 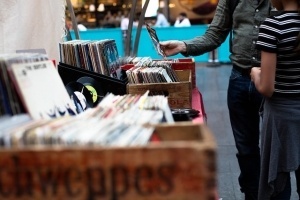 It’s also a good idea to keep the compartment closed for the record player unless you are using it to avoid dust build-up and any other harmful environmental factors. Condition: As with all technology, it is important to determine the value of the unit based on the condition. Sure, it might look nice, but does the record player work? If not, it’s not going to be as valuable as you think. 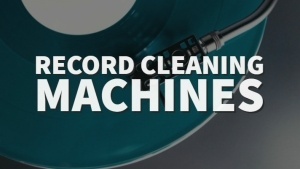 The record player should be in sound working condition and the console itself should be sturdy and attractive. Brand: The brand is important as well when it comes to the antique record player cabinet value. Some brands were more popular than others, which makes them more valuable. Some popular brands include Grundig, Motorola, Zenith, RCA, and Telefunken. 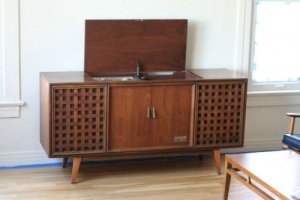 Design: Some record player consoles were plain Jane while others were part of the top of the range cabinets. These usually had all kinds of bells and whistles that allowed more variety for the user. Generally, consoles are going to be worth nearly nothing to thousands of dollars. It all depends on the condition of the antique itself, the condition of the record player, the brand, design, and overall aesthetics.